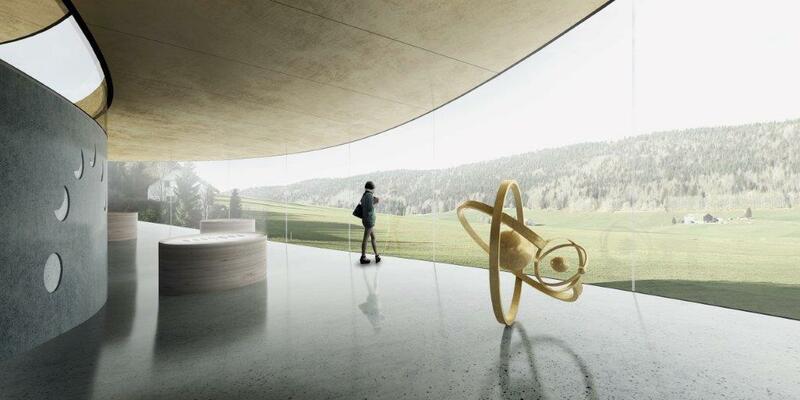 The Bjarke Ingels Group (BIG) has won a design competition held by Audemars Piguet, a Swiss watchmaker, and are now tasked with creating the Maison des Fondateurs museum in Le Brassus, Switzerland. 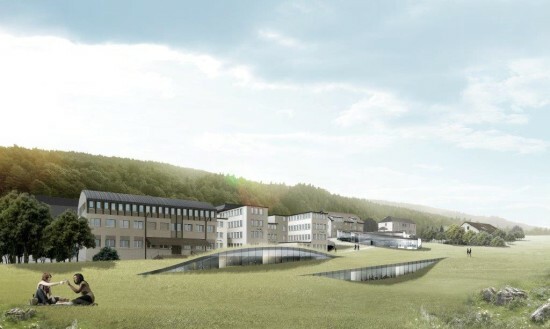 The 25,800 foot Maison des Fondateurs will be located in the midst of numerous workshops and factories embedded in the history of the Swiss watchmaking company. 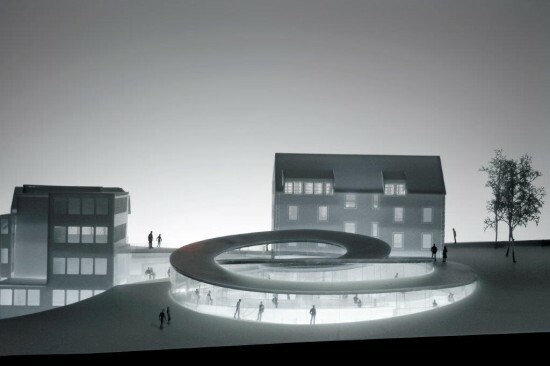 The Copenhagen- and New York–based BIG is no stranger to large-scale projects such as this, and has already begun work on the construction of the museum. The group is partnering with HG Merz, Luchinger & Meyer, and Muller Illien to see the completion of this project. The spiraling building form will feature a contemporary design that follows the theme of a watchmaking facility closely, while still carrying a modern look. 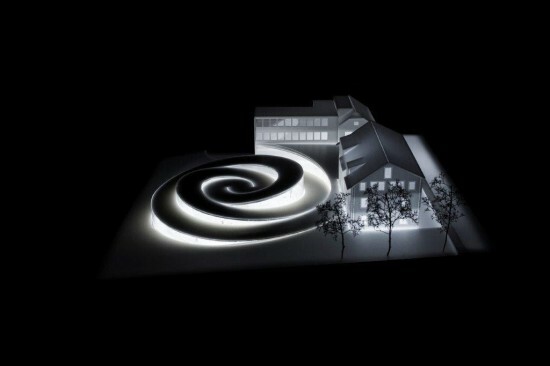 At its core is a tightly wound spiral that winds the linear exhibition sequence around a central point, juxtaposing the museum exhibitions with various other workshops. The entrance will connect directly to the existing museum as well as to the company’s hospitality program. 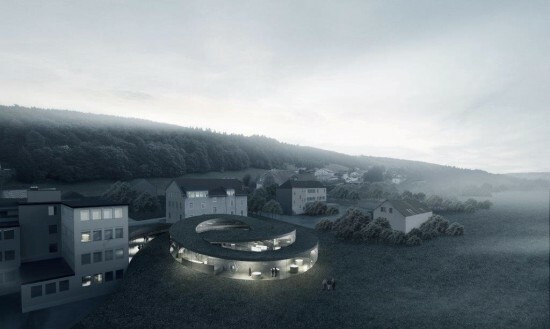 Renderings of the museum show the complex actually brings the area’s landscape onto the building itself with regional greenery incorporated on the exterior. 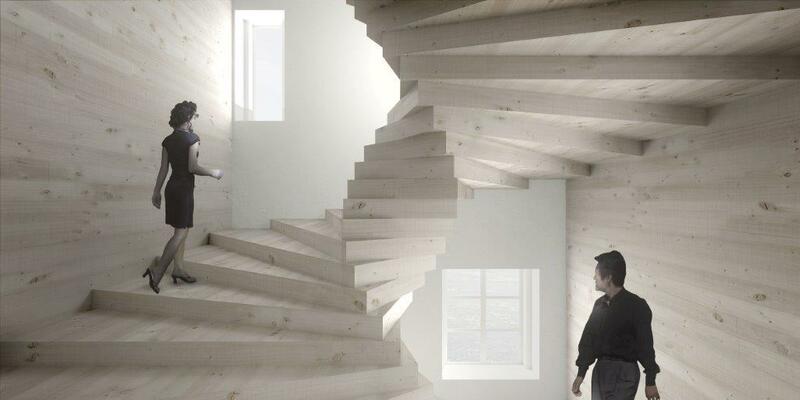 The twisting spiral form also provides ample pathways for sunlight to enter the museum. To the side of the structure there will also be a sunken guesthouse, exposed by two cuts in the landscape. 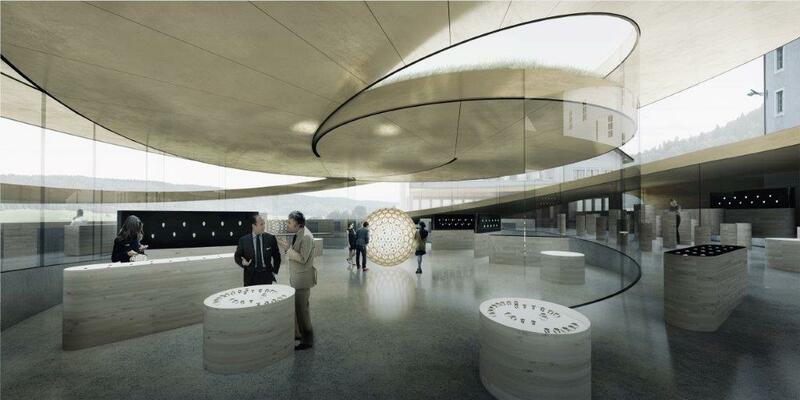 The ceiling will be comprised of a single, continuous metal sheet: a steel roof coated in brass. 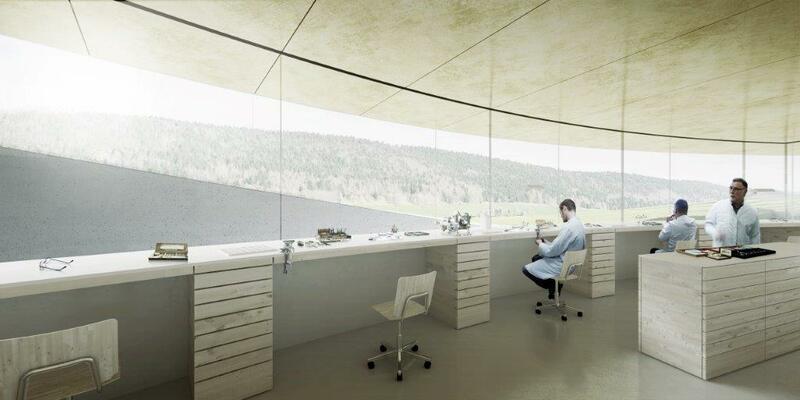 The rest of the building will mix traditional materials such as timber and stone with modern materials such as concrete and brass. This combination and collaboration of the new and the old is heavily stressed by Ingels in the design of the building.